VeniceSurfandSkateboardAssociation: Surf lessons and Lifeguarding. 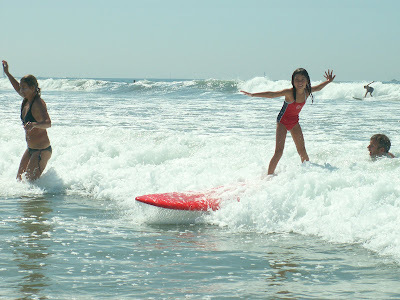 Surfing Lessons by appointment or group. Group Lessons $30.00 per hour Private lessons $60.00 per hour. When researching lessons ask these questions of your instructor, Experience, qualifications, teaching ability. My qualifications include: L.A County lifeguard (15 years), Water safety instuctor, First aid instructor,L.A county competition swim team coach, Field Manager L.A County Underwater Unit( South Aquatics),Founder and Executive Director of the Venice Surf-A-Thon Surf contest( 15 years annual).All life saving and first aid certifications are current and available for public inspection upon request I have been teaching surfing, scuba and swimming to children and adults for the past 25 years. Wet suit and board( hard or soft) included in your lesson.In addition VSa offers privite lifeguarding events at pools and privite homes) and swimming lessons.